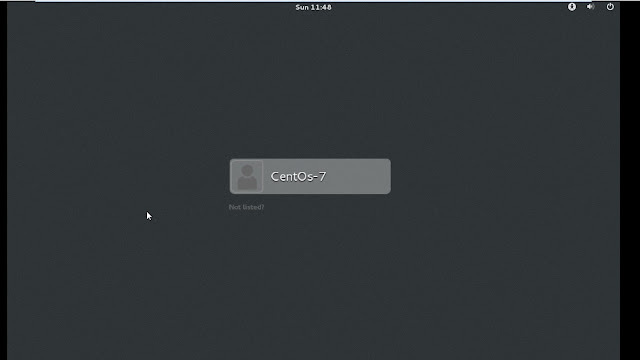 Rhel 7/ CentOS 7 comes with lot of multiple features and designed for new cloud platforms and modern datacenters. 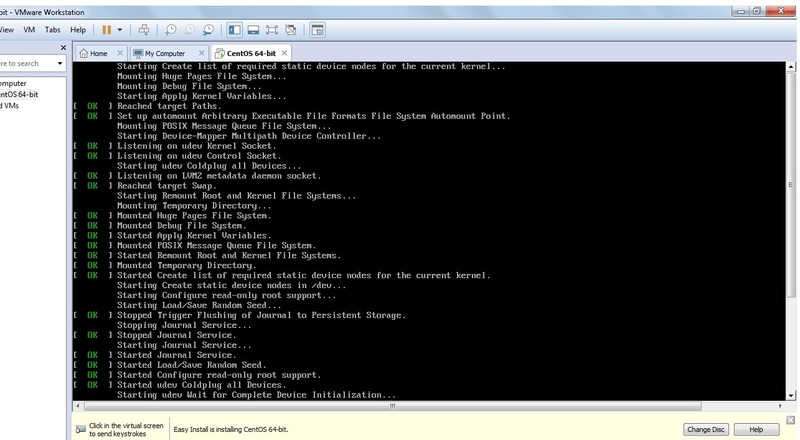 Most important change in Rhel 7 is switching to systemd, that now manages daemons, process and other important system resources.Other change is XFS that is now the default File system. 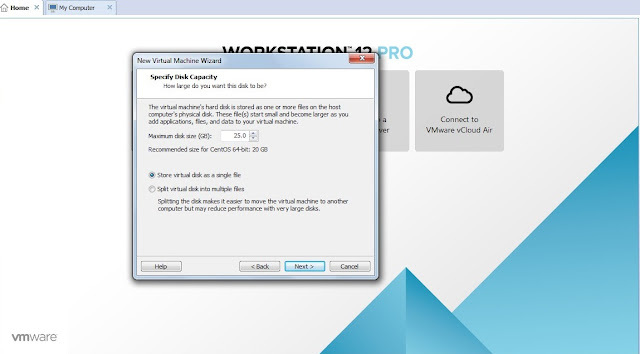 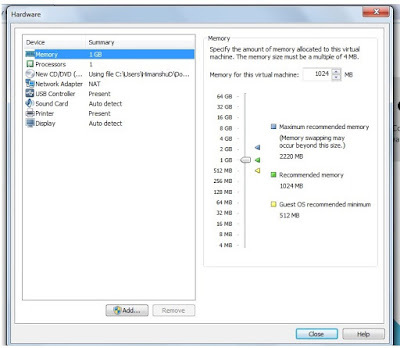 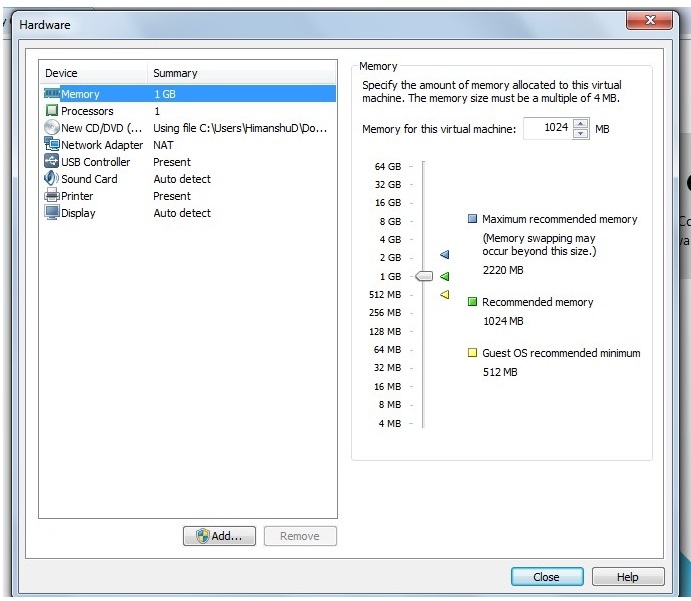 Open VMware Workstation. 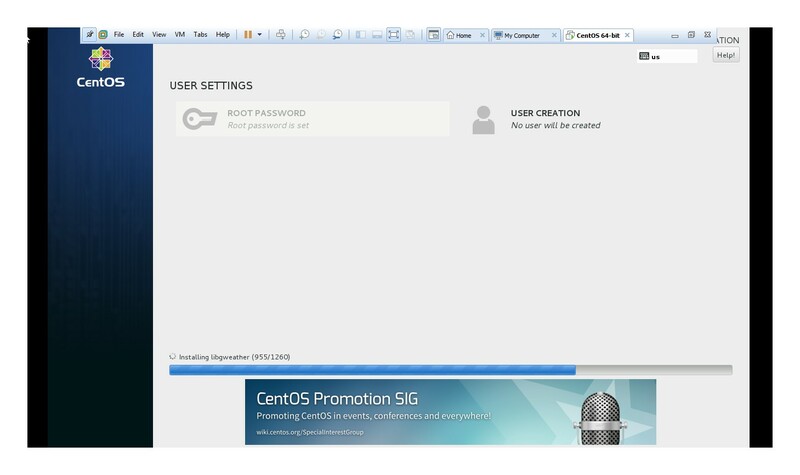 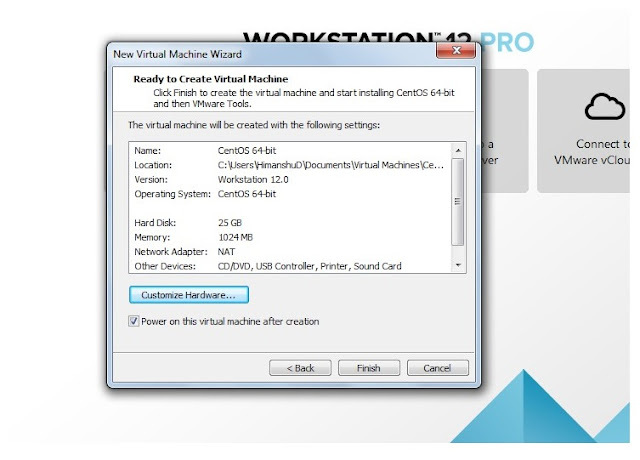 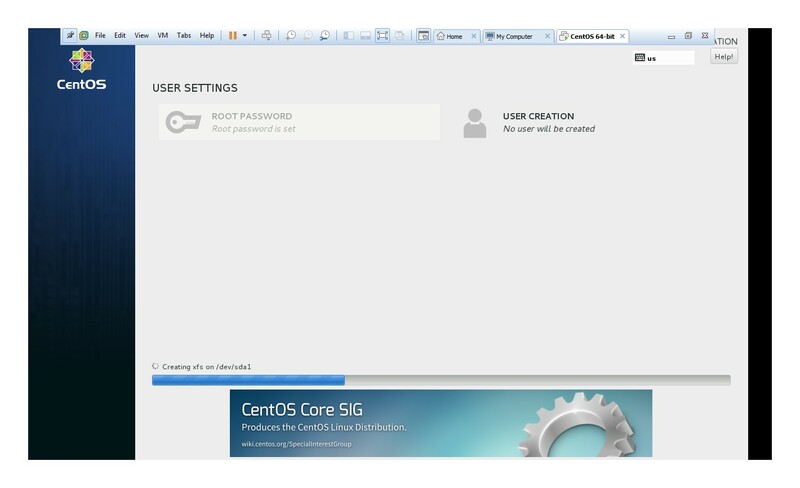 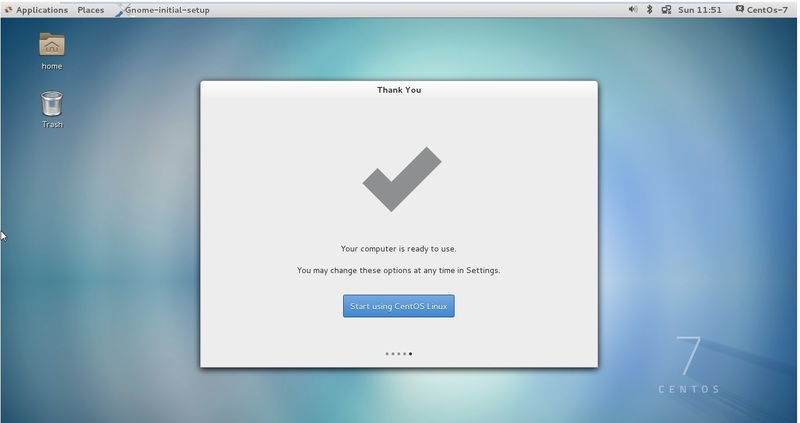 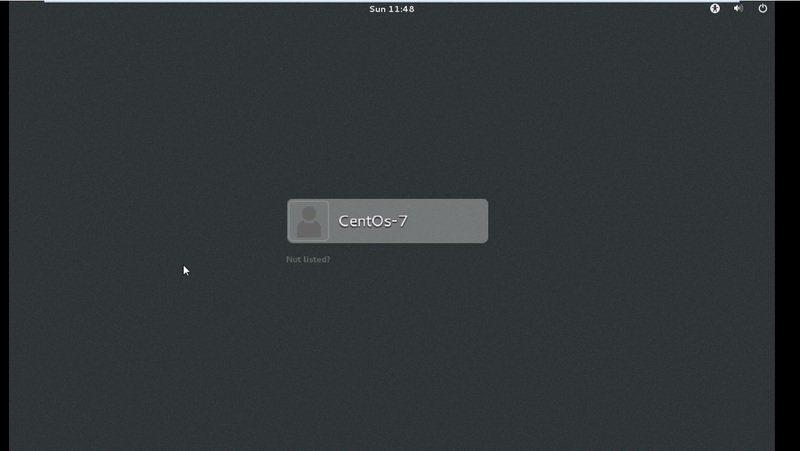 I have installed CentOS on VMware workstation 12. 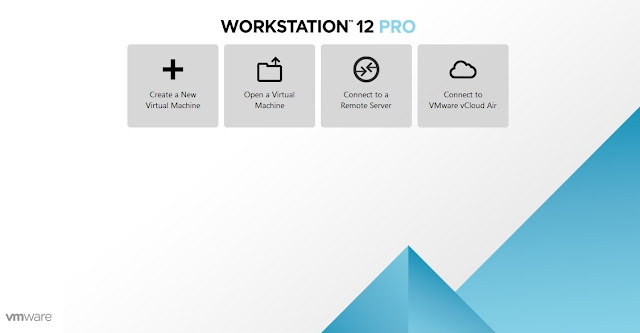 Below is the initial page that opens up while launching VMware workstation 12. 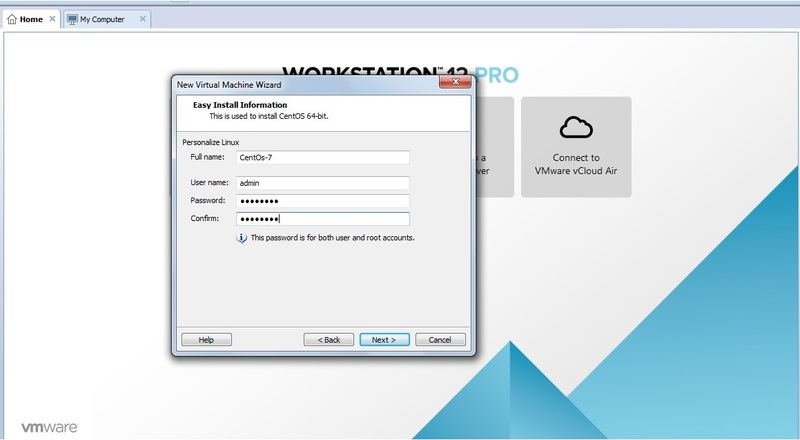 Next, choose the VM name and add username and set password. Automated Installation will begin by Easy install, installing packages and finishing setup will take some time. 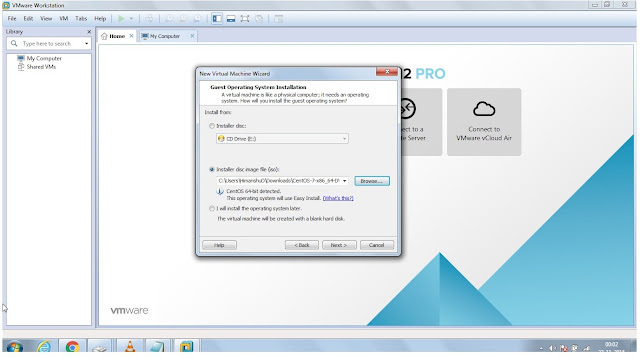 Easy install automates the process and take cares of installation process. Installation of packages takes some time.